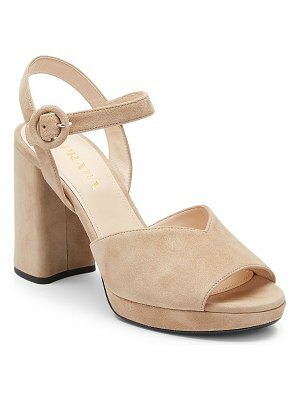 Boho-chic suede slingbacks set on stacked block heel. 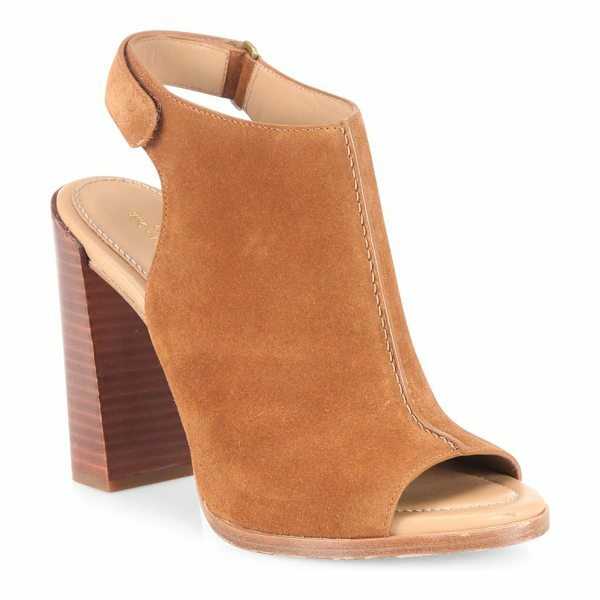 Stacked block heel, 4.25" (110mm).Suede upper. Peep toe. 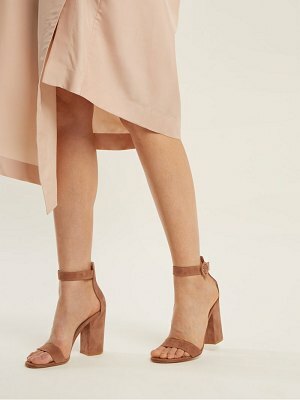 Adjustable grip-tape slingback strap. Leather lining and sole. Padded insole. Imported.